It’s always fun to incorporate games into therapy sessions. These simple game boards allow for multiple repetition of targeted sounds in all word positions and in blends. Each file download contains five standard game boards and then a Climb & Slide game board. 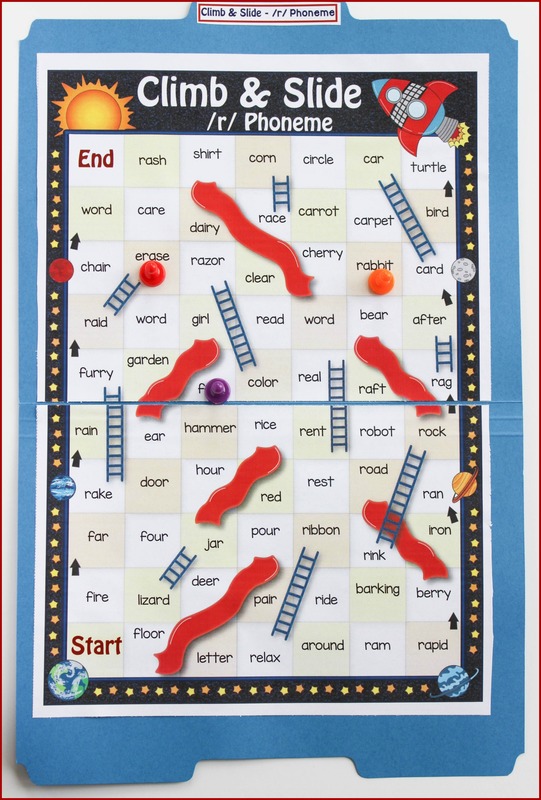 This game is modeled after the popular Chutes & Ladders game and is sure to be a favorite! 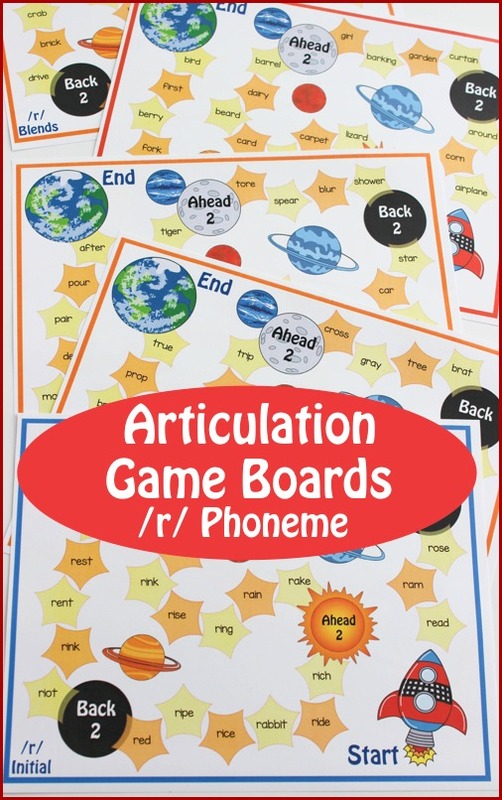 You can find the /r/ Phoneme Game Boards on the Make, Take & Teach website or in my Teachers Pay Teachers store. 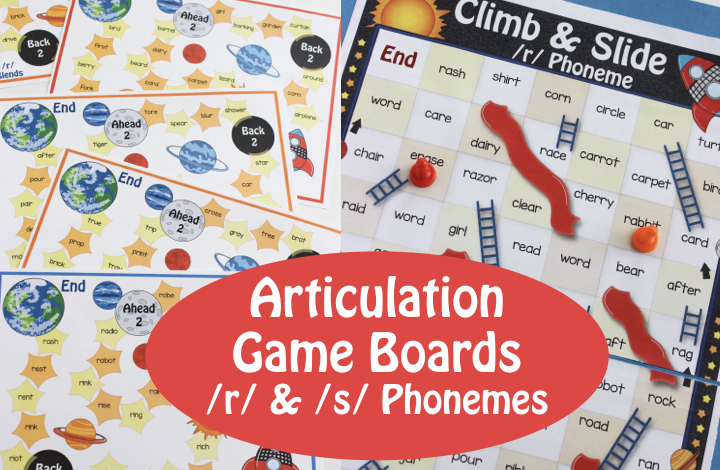 The game boards are also available for practicing the /s/ phoneme! 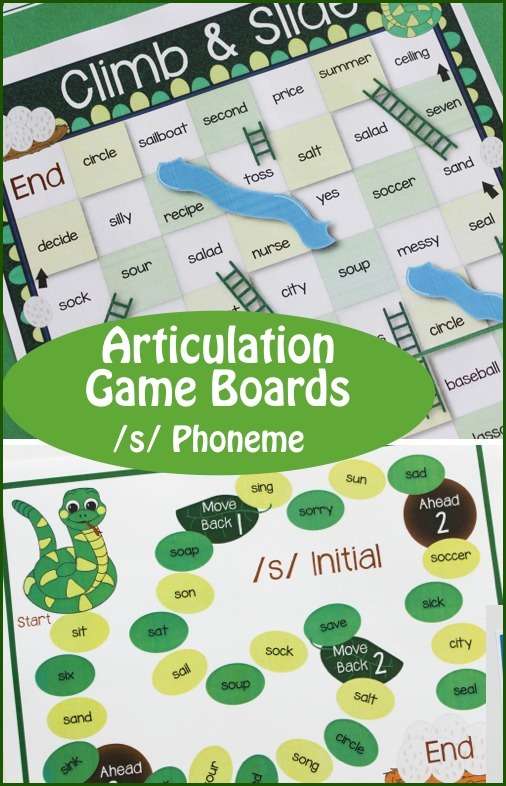 The Game Boards for the S Phoneme can also be found on the Make, Take & Teach website or in my online TpT store.